This eco-friendly soap saver by Hydrophil. Made from natural plant fibres. Designed to improve your shower experience. Producing more suds with less soap and making your bar last longer. It gently exfoliates your skin to feel soft and smooth after use. This soap saver keeps the soap bar dry and lasts longer. It has a draw string pouch to hang to dry, if you are short of space. 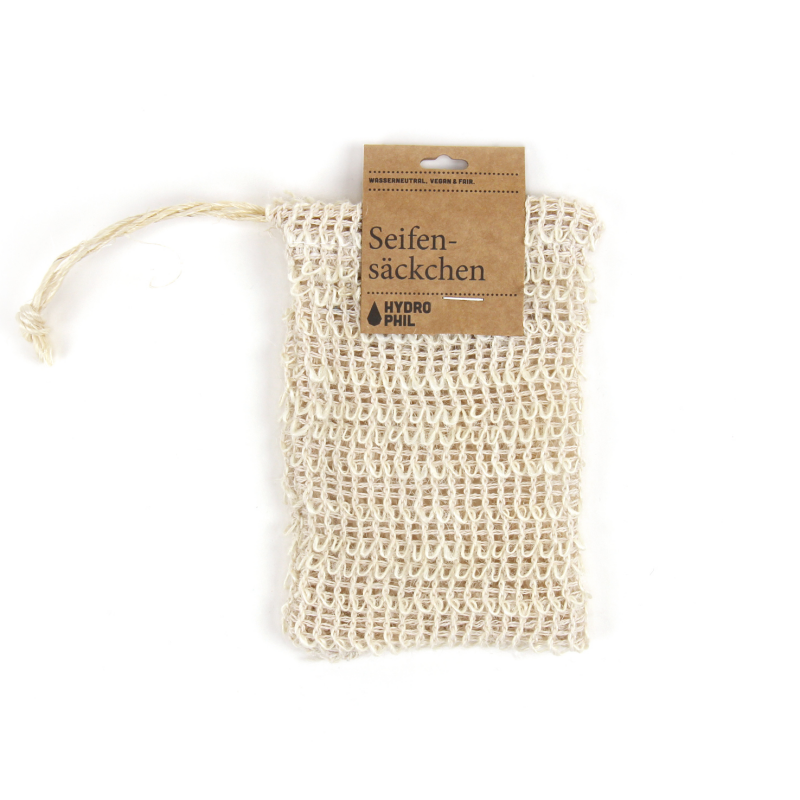 This eco-friendly, vegan soap saver pouch is designed to improve your shower experience in three ways! Firstly, when you put your solid soap bar inside the pouch, the material means the bar can produce more suds with less soap, making your bar last longer. Secondly, the 100% natural fibre pouch is gently exfoliating and your skin will feel soft and smooth after using. Finally, this soap pouch is an excellent place to keep your bar dry and ready for the next use, particularly if you don’t have a soap dish near your shower or bath. The handy loop means you can hang your bar from your shower and it’s always in reach.